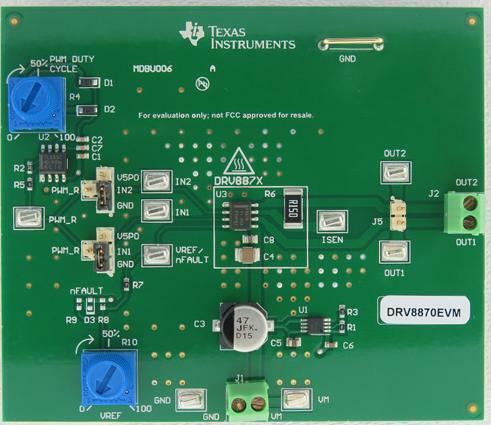 The DRV8870 evaluation module demonstrates the capabilities and performance of the DRV8870 integrated circuit from Texas Instruments. The EVM includes a 5V regulator and PWM generator. A single power source is required to evaluate the DRV8870.